If you have sinking concrete around your home, Innovative Basement Systems can lift and restore your concrete to help eliminate trip hazards and pooling water problems. We level concrete driveways, walkways, patios, pool decks, and slabs in Minnesota, North Dakota and Eastern Montana using a proven polyurethane foam injection solution called PolyLevel®. For a free cost estimate on PolyLevel concrete repair in Minnesota, North Dakota & Eastern Montana, call us at 1-844-256-8038 or click below to request your no-obligation assessment. After this concrete slad settled over 4 inches the home owner was very pleased to see it return to the way it was when it was first poured. Over time the slab settled in front of the garage creating a trip hazard and making it hard to park a car inside. Now that slab is lifted its smooth sailing into the garage again. Preferred customer from Hastings, MN, called to inquire on concrete lifting of garage apron. We had done previous waterproofing for them, so they knew who to call! System design specialist, Wiiliam Obert, visted the homeowner and inspected his apreas of concern. PolyLevel foam injection was the solution! After product and installation was discussed, Will went over warranty and estimate information. The homeowner signed off and the job was completed a short time later. If you have sunken concrete - we can help! After seeing our exhibit at the MN State Fair, Carol & Robert (Stillwater, MN) signed up for a free estimate for concrete repair. They met with Innovative's specialist, Dan Supan, who inspected their driveway. Dan recommended lifting the concrete slabs back into place with PolyLevel foam injection. Carol & Robert were impressed and signed off to get the project completed the following spring - subsequently sending us to their daughter's home for similar repair. After receiving our coupon in the Dollars & Sense magazine, homeowners from St. Paul Park, MN, contacted TEAM Innovative to schedule their free estimate for concrete lifting. Their garage apron had settled 3-4 inches and they were wondering if PolyLevel foam injection would be able to lift the slab back to its original position. System design specialist, Eric Wiktor, met with the homeowners and inspected the apron. He presented his estimate for PolyLevel and they signed off on the contract - both homeowners were very pleased with the lift was achieved! Noticing a gap between their patio door and the concrete, homeowners in Lake Elmo, MN contacted Innovative to raise the slab. Homeowners from Lake Elmo, MN, contacted the TEAM at Innovative Basement Systems to discuss his slab on grade front porch that had settled towards the house. Water had also found its way into the basement, luckily next to the sump pump! He was interested in lifting the patio back to its original position. System design specialist, Bill Obert, met with the homeowner and took a good look at the patio. It was a perfect job for PolyLevel foam injection! Bill explained the injection process, went over warranty information as well as all costs that would be involved. Seeing PolyLevel injected is something else! The homeowner was certainly impressed and since then - not more water in his basement! Lake Elmo has another happy homeowner! After visiting our booth at the MPLS Home & Garden Show, homeowners from Lake Elmo, MN, took advantage of our free estimate for concrete lifting. System design specialist, Keith Hansen, met with the homeowners and inspected their areas of concern. Keith educated them on how we inject PolyLevel foam for concrete lifting, the injection process, benefits, warranty information as well as costs involved. The job was scheduled and completed and the homeowners were very impressed with the lift achieved! Innovative Basement Systems has the expertise and equipment to quickly raise and level many types of slab-on-grade concrete, so you can use those areas around your home without worry. Looking for commercial, industrial or municipal solutions? PolyLevel can be used for a broad range of applications, such as concrete lifting and leveling, void filling, soil stabilization and leak repair. 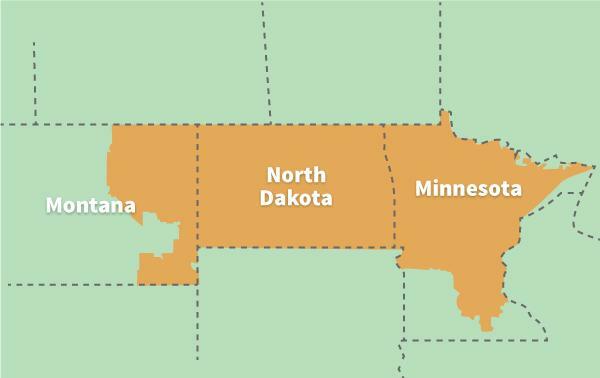 Learn more about our commercial PolyLevel services in Minnesota, North Dakota and Eastern Montana. If your concrete is structurally-sound, why replace it? Replacing the concrete won't fix the soil problem that's causing the settlement. Concrete leveling is the answer. Contact Innovative Basement Systems today for an on-site inspection and free cost estimate in Minneapolis, St. Paul, Fargo, Bismarck, Bismarck, Saint Cloud, Eden Prairie, Grand Forks, Minot, Anoka, Andover and the surrounding areas.